Dealers of Architectural Building Products shipped factory direct to your job site. Architectural columns are available in a wide variety of materials, to be used in load-bearing or non-load-bearing conditions. High Density Polyurethane (HDP) is intended to be used as a replacement for, and in the same manner as architectural wood millwork. 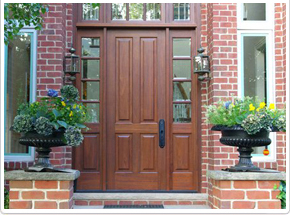 Studies show that a new front entry door can add up to $24,000 in value to your home. And, new frame systems can help seal against drafts, water and pests. Exterior elements encompass a large variety of profiles and shapes including shutters, balustrades and railing systems, columns and posts. 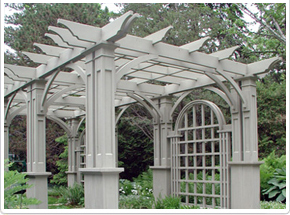 Millwork Direct’s specialists can offer you any custom designed pergola or element that you desire and can assist you with determining the right product . 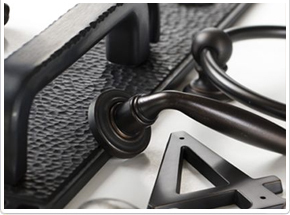 Builders & Decorative hardware, also known as “Finish Hardware” is available in a wide variety of styles, metal finishes, functions and price ranges. 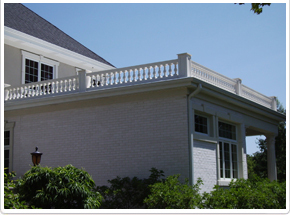 When architects, builders and contractors need fine architectural columns, doors and millwork, they turn to Millwork Direct Inc, a division of Ferson Creek Sales. They know our millwork specialists can assist with specifying and ordering a full range of custom millwork products, assuring the right product at the right price. 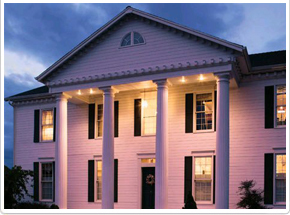 Architectural columns, custom front-entry door systems and decorative mouldings are a specialty of ours. We also offer a wide variety of custom interior doors. Through our relationships with dozens of manufacturers from all over North America, we can deliver products directly from the factory to your jobsite. We ship virtually anywhere in the United States and can ship internationally if desired. (Freight charges may apply) Please call our millwork specialists at 800-533-5258 for more information, or you may fax anytime to 630-584-6745. Allow us to introduce you to Millwork Direct, Incorporated. 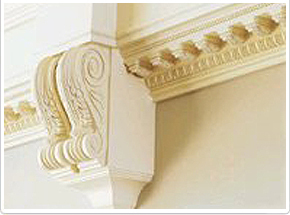 Located in St. Charles, Illinois, Millwork Direct Incorporated specializes in unique hard-to-find top-quality millwork and architectural specialties shipped direct from the factory to your jobsite.